I moonlight as the vice-president of the Gangplank Slipholder’s Association when I’m not beekeeping and working as a professor at American University’s School of International Service. In this capacity, on Monday I gave a witness testimony at a public hearing in support of redevelopment along Washington DC’s Southwest Waterfront. You can watch the video of my testimony HERE. The meeting lasted 4 1/2 hours, so I delivered the testimony at approx. 11:15 PM. It was an interesting taste of my own medicine… I assign students in my Third World Cities class to do a public hearing speech as their final exam. I was every bit as nervous as my poor students, and the 3 minutes of allotted time flew by. Thankfully I squeezed in my key points, with only a few “um’s,” but this is not an “A” performance. The developers, PN Hoffman/ Madison-Marquette, are doing a LEED-Gold certified neighborhood and planning on doing every one of their 10-story buildings as LEED-Silver rated (at least). This is one of DC’s biggest and most ambitious development efforts in history; it will take up about 6 blocks along the waterfront. At first we boaters were nervous since we are the only community that would potentially be displaced by the development. So we organized. We made this Washington Post story happen last year, when the PUD was first introduced. PUD stands for Planned Unit Development; it is the massive proposal for building height, density, and zoning use in a new development, that requires city approval before any demolition/construction work can begin. In the end, getting the developer’s support has been all about convincing the developers, as well as the broader community, that we are a vital part of the neighborhood. We seem to have had considerable success at this. 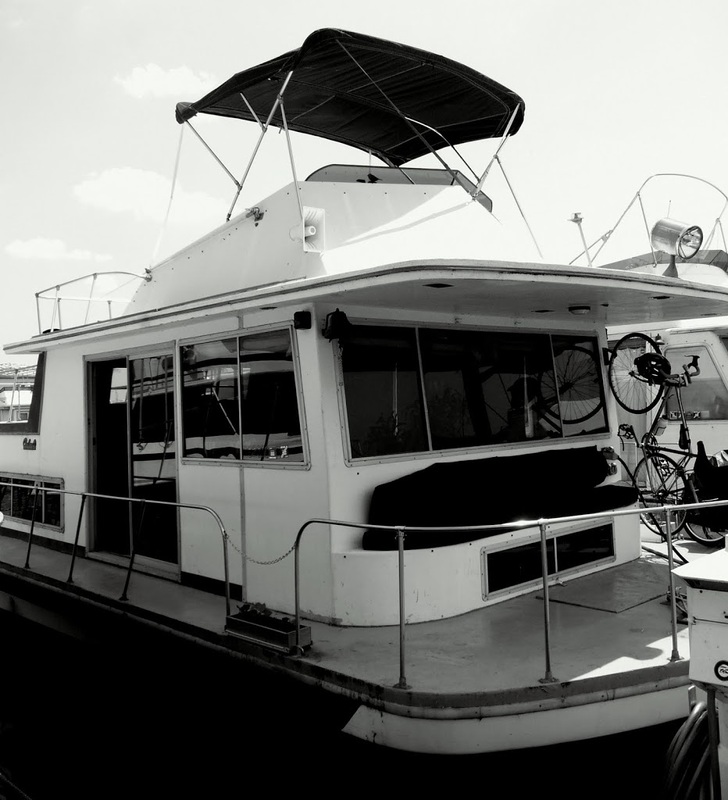 And we are so cool, I just have to say… the latest neat event is a floating home tour on August 13, from 10 am – 2 pm. It is a fundraiser for the Anacostia Watershed Society and the Earth Conservation Corps. Come! Check us out!! Tickets are only $11. My boat will be on the tour… my theme is “creative decomposition” and, assuming you don’t fall through my rotten decks, you will be able to visit my worm compost bins and see my interesting Green Pirate lifestyle on display.